The Army has established a program which allows enlisted members and officers to apply for early separation to participate in activities with recruiting and public affairs beneficial to the U.S. Army. As part of the Army's ongoing recruiting efforts and to enhance the Army’s public affairs efforts, personnel meeting the eligibility criteria may request for excess leave or early separation under the provisions of this new program. Exceptional personnel with unique talents and abilities may be released from active duty when there is a strong expectation they will provide the Army with significant favorable media exposure likely to enhance national recruiting or public affairs efforts. Personnel will be expected to use their talents primarily within the United States in a manner that generates interest for service in the United States Army. Personnel may apply for excess leave, after serving 24 months of the currently obligated period, not to exceed a period of 1 year, for the purpose of pursuing an activity with potential recruiting or public affairs benefits for the Army. While in an excess leave status, personnel remain subject to recall and must maintain current contact information (e.g., e-mail, current address, phone number) with their commanding officer. Personnel is not entitled to pay and allowances while in an excess leave status. Personnel who incur a physical disability while in excess leave status are not entitled to receive disability retired pay. Personnel on excess leave for purposes described in this message must sign an agreement acknowledging that time served in excess leave will not be used to satisfy an existing Active Duty Service Obligation (ADSO) or other service obligation. In the event the individual fails to achieve the desired benefit for the Department of the Army, he or she will immediately return to active duty no later than the termination date of excess leave. To serve in good standing in the Selected Reserve as a Drilling Individual Mobilization Augmentee (DIMA) of the Army Reserve, assigned to the U.S. Army Accession Command, for a period of not less than two times the length of the individual’s remaining service obligation. Officers subject to recoupment (under the provisions of Title 10, United States Code, Section 2005) for receipt of advanced education assistance (United States Military Academy graduates and Reserve Officers' Training Corps scholarship recipients) must reimburse the United States a pro-rata share of the cost of their advanced education assistance based on the period of unfulfilled active duty service. Soldiers in receipt of enlistment/reenlistment bonus are subject to recoupment based on the period of unfulfilled active duty enlistment obligation. 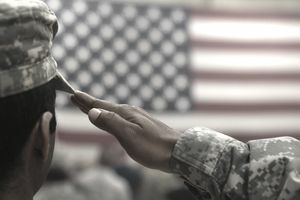 Personnel must serve at least 24 months of their current period of active duty service obligation before becoming eligible for release from active duty or excess leave. The request must contain a specific proposal describing how the individual’s talents will be used to benefit the Army's recruiting or public affairs efforts. The chain of command, in evaluating the request will consider the needs of the Army, the quality of the individual's performance to date, the strength of the individual's recruiting or public affairs potential. Personnel who demonstrate a strong potential to participate in a professional activity can be assigned to U.S. Army Accession Command unit in proximity to where the professional activity will be conducted for the two-year period of active duty. Personnel will conduct recruiting and public affairs activities to support the Army during this assignment. Individuals may participate in professional activity during the two-year active duty period, as long as the professional activity does not interfere with the service member’s military duties. In the event that the Solider is no longer under a contract or binding agreement with an activity, they will agree to continue to fulfill their obligation in the Selected Reserve for a period of not less than two times the length of their remaining ADSO assigned to any Selected Reserve billet as deemed appropriate by the U.S. Army. The Assistant Secretary of the Army (Manpower and Reserve Affairs) is the approval authority for all requests for excess leave and early separation from active duty under this program. The request for release from active duty must be submitted no later than 6 months from the expected date of the release from active duty.